Time is running out to provide feedback on the project. 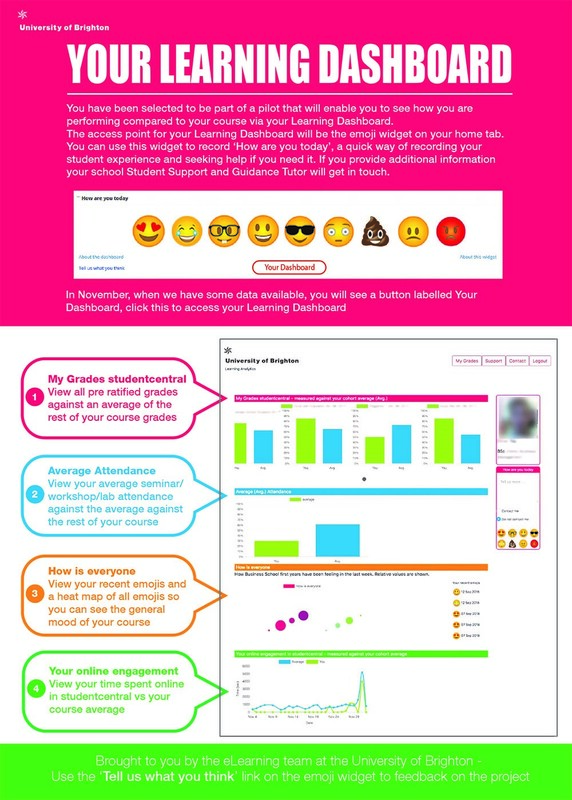 We need your support if the project is to continue so please take the time to tell us what you think and encourage your students to do the same via their studentcentral dashboard Learning Analytics Dashboard. It’s year two of the Learning Analytics Pilot and time to gather your thoughts and feedback. We are still trying to find out what the university wants from this project and there is now a senior management steering group meeting to discuss the university requirements. Our steer has always been to develop a tool that supports our students and we are already gathering feedback from them. This is your chance to have some input into this project so please take the time to answer the four questions below. 1. What impact has having access to the Learning Analytics data had on your teaching and/or relationship with your students? 2. 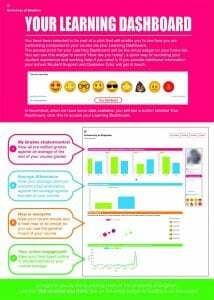 Do you have any feedback on the Learning Analytics Dashboard? 2. Have you any comments/feedback on the photo registers? Colleagues particularly Course Leaders and first year (level 4) Tutors across all programmes. We are extending the successful pilot to all level four students in the academic year 17/18. The first part of the project requires ALL FIRST YEAR Level 4 SUBJECT SEMINAR TUTORS to take an electronic register using the picture registers on studentcentral. These should be available next week and you will find them on the Dashboard of your module. Just click on the photo of the students to register their attendance. How are you today? enables students to keep a record of how they are feeling and to request support if needed. How it is used is up to the student. When a student clicks on an emoji they will be given the opportunity to give some optional comments. The student can decide if they would like to be contacted about their update. Later in the year this will appear as part of the student’s Learning Analytics Dashboard. These two important elements will help BBS support our new level 4 students! Also the photo registers have been extended across the whole of the Business School! This pilot project has been underway since the beginning of term. Please check the link below for the improved although not perfect attendance recording system we are piloting across all level 4 modules, all undergraduate degrees. Without tutors recording attendance the pilot will not be as successful as it could be. Tip – if you are finding using the computer in the seminar room not working as well as you would like you can use an iPad – the technicians do have a limited number you can borrow. Any feedback please direct to Marion and that will inform the next stages. The new and exciting addition is Student Finder, details on above link or direct to the video – Viewing a student’s My Engagement view Anyone involved in supporting Level 4 students should see the Student Finder Widget on your home page of Studentcentral. This will enable you to look up any level 4 student and see their overall attendance (to be treated with caution as attendance is not complete for all students), engagement with studentcentral and their current assessment marks against their cohort. If you cannot see the Student Finder widget and you need access please let Marion know. To follow– As part of the pilot the students in four seminar groups have had access to their own student engagement view and the results of the pilot will be posted very soon. Using Learning Analytics is a way to target support to students; the Business School is piloting using learning analytics in this way. Two key measurements are attendance and assessment results, these can be presented to both staff and students. Stage 1: We have been recording level 4 attendance across all degree programmes using studentcentral . Photo Classlist for groups in this module – allows you to mark absences for this module at seminar group level – This is the most likely one you will use. Viewing a student’s My Engagement view. This video shows you how to access a student’s my engagement view from the student finder in studentcentral. You need to have access to the student finder on the home tab.